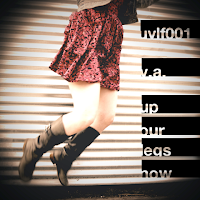 A couple months ago, I was contacted by a nice guy who was starting a new netlabel named Up Your Legs Forever. He asked if I had any songs I'd like to submit for the label's first release, a 2-disc compilation set of songs that all featured "2 key elements: catchiness and sense of adventure/experimentation." I submitted my song "How Does It Feel?" and...he liked it! I spent a lot of time re-mixing it to get it just right, ended up making it sound much worse, and finally told him to use my original version that I posted on FAWM back in February. Well, I somehow missed this, but apparently the compilation went live about 3 weeks ago. Titled "Up Your Legs Now," it features 2 discs' worth of awesome songs by a variety of talented musicians, including my friend and frequent musical collaborator John Argentiero. Please take a minute to support indie music by checking out the compilation! If you just can't wait to hear my song, just hit "play" below. Enjoy! Good afternoon and welcome to another edition of Wired For Music's Reading Roundup! Here are a few cool things you might have missed. My Life Scoop profiles 10 Web Apps for Music Lovers (written by a Mashable writer). 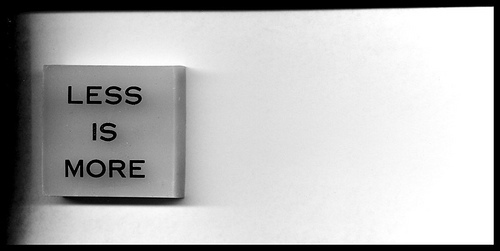 The New Yorker's Sasha Frere-Jones ponders what happens when you become the D.J. The Washington Post discovers NPR Music. I beat them to it a few weeks ago. Waste time with Smashing Magazine's list of Bizarre Websites On Which You Can Waste Time With Style [Editor's note: points for grammar!]. The list includes a site where you can compose music using the sounds of Hamburg, Germany, a game that lets you control a beatbox or a cappella group, and a site where you can make a whale sing, among other cool things. Music Machinery (one of my favorites) shows off one of the results of last month's Music Hack Day, a tool that lets you add a swing beat to any song. Jason Freeman lets you create your own version of a piano etude by re-combining the parts (anyone familiar with Yahoo! Pipes will dig this interface). The New York Times wrote about this as well. Play Six Degrees of Black Sabbath, an awesome tool from the Echo Nest labs that finds connections between almost any musical artists. Menomena to Miles Davis in only 17 steps! So, what are you reading this week? Tell me in the comments. WHEREAS, I don't feel like writing a whole paragraph about each song (well I do kinda feel like it but I have too much work to do today). NOW, THEREFORE, BE IT RESOLVED, that for this week's Friday Playlist I will be writing one-sentence (and only one-sentence) reviews for each track. Please enjoy. Broken Social Scene - "Meet Me In The Basement"
Their new album takes some getting used to (due to some changes in production style, most notably un-distorted vocals on some tracks) but there are some great tracks, like this instrumental showcase and the mellow "Sweetest Kill." Featuring their trademark mixture of playful insanity and operatic nonsense, this song is a pretty good barometer - if you like it, you'll probably like the rest of "Grey Oceans" as well. Unlike the rest of the world, I didn't find this album all that hard to get into, and I actually liked it better than their (over-hyped) first one. I discovered this neo-psychedelic band well after the rest of the world, and I am not apologizing for liking their (over-hyped) trippy-hippy album . One of the better moments on Caribou's new album , which I'm sorry to say I don't like all that much. Plants And Animals - "American Idol"
Sharon Jones and the Dap-Kings - "The Game Gets Old"
Yes, I am late to the Sharon Jones party, but that doesn't make this song any less great. This one is all about the horns. The Blow - "True Affection"
I keep hearing this song in bars, and because I love simplistic repetitive songs I will overlook the fact that the rest of this album is pretty boring. At last, Dr. Dog has made the album they were always meant to make - don't let the fact that Wilco already made it stop you from grabbing this gem. Black Rebel Motorcycle Club - "Evol"
Somehow these sneering, grungy bar-rockers (by way of British blues-influenced psych-rock ) just keep putting out better and better albums . For some reason, Rafter put out a really great Prince album (well, not all of it sounds like Prince, but this other song sure does). This album is not as great as every critic in the world would have you believe, but it does have some outstanding tracks . The Dead Weather - "The Difference Between Us"
Blah blah Jack White is so great blah blah blah just listen to it it's actually really good. Woods - "From The Horn"
Let's all travel back in time with Woods to the glory days when bands knew how to use backwards-looped guitar solos to make life worth living! Midnight Kids - "The Undertow"
Picture if you will: a basement, a blacklight, some depressed teenagers, and this album. Bonus sentence: the album is available for free download, and these guys are from DC - what are you waiting for? So, what did you think? Let me know in the comments - and feel free to use more than one sentence.